Don't be fooled! These are no ordinary buccal swabs. 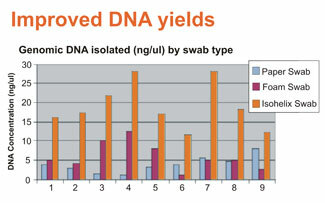 Isohelix swabs were developed to allow collection of much higher levels of DNA as compared to standard swabs. Isohelix swabs can even replace venopuncture in some applications!. Does your assay need more DNA than standard swabs yield, but don't want the problems associated with venopuncture? 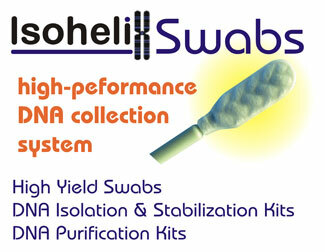 Give Isohelix swabs a try! Isohelix swabs are available with either traditional breakable shafts (snap) or as new easy-removal heads (pull) that cleanly pull off the shaft for fast and efficient sample retrieval. 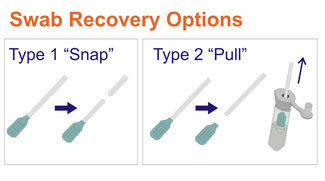 New pull swabs come complete with a 2ml micro-tube with a unique new cap for easy n0-touch, swab head removal. All swabs are wrapped in paper/plastic packs and preisterilized by gamma-irradiation. Don't forget to order Isohelix DAN kits for use with your swabs! 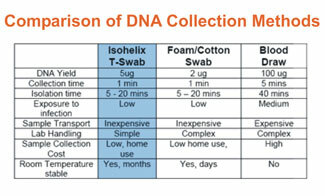 DNA Kits specially formulated for use with the Isohelix swabs..